Conceal carry doesn’t have to be uncomfortable. In fact, it should be comfortable as it’s something we do all day, every day. I regularly hear people talk about how conceal carrying a firearm is uncomfortable, or how they conceal carry a small handgun because full-size handguns are too uncomfortable. 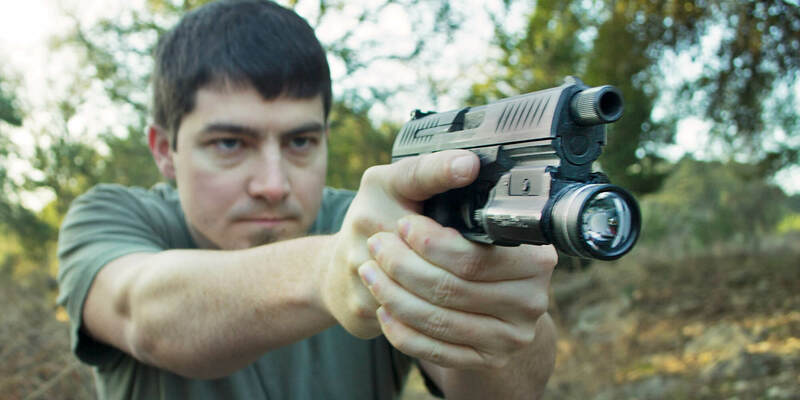 Conceal carry doesn’t have to be uncomfortable, and it doesn’t have to be difficult. 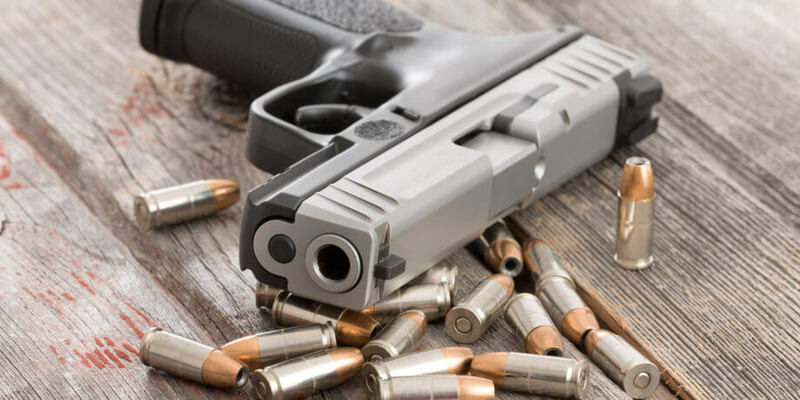 Making a few deliberate purchases of specifically designed, quality items can make all the difference for conceal carry comfort. Hip carry is probably the easiest place to conceal carry. Appendix carry is quite popular these days, but it requires a very specific holster and isn’t for everyone. I strongly do not recommend carrying a gun in the small of the back. 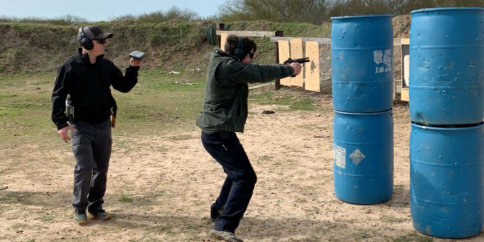 It creates an extremely slow draw stroke, makes it difficult to retain control over the gun, and can even cause serious injury if you fall and land on it. A cheap $15 nylon holster does NOT make for a good conceal carry holster. They are uncomfortable, they aren’t very secure, and they can even be unsafe. This is something we need to trust our life in and we need it to be comfortable as we’re wearing it all day. These days, kydex is pretty much the gold standard for holsters of all kinds. They can be custom molded to fit your exact pistol, allowing for positive retention and as much comfort as possible. Good kydex holsters also ensure the pistol does not move around on your belt, so it is exactly where you want it to be if you need it. Normal belts are not ideal for conceal carry. They were not designed to hold up weight and can result in a gun shifting around, making it uncomfortable to carry. A good gun belt has some sort of rigid insert within the belt, so it is designed to bear the weight of a gun. This keeps the handgun comfortably in place without it moving around and keeps an even distribution of weight on the waist. I wear the Volund Gearworks Atlas belt with an untucked shirt, but it looks “tactical.” Hanks Gun Belts has a variety of belts that look more normal. Firearm grips aren’t designed to be comfortable. They’re designed to be tacticle and have enough texture to grip firmly, even with sweaty hands. That type of texture is not comfortable against the skin. A comfortable undershirt between your skin and the firearm can make a surprising difference, even when using a comfortable holster. 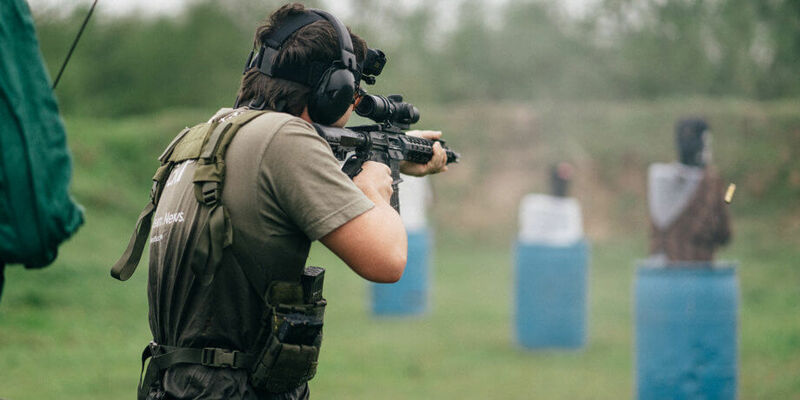 It doesn’t have to be a thick shirt or anything special, just a layer of cloth between your skin and the firearm. The harsh truth is, not all firearms can be conceal carried with all wardrobe choices. While most people would be surprised at how big of a firearm can be conceal carried with a good setup, not everything works for everyone. 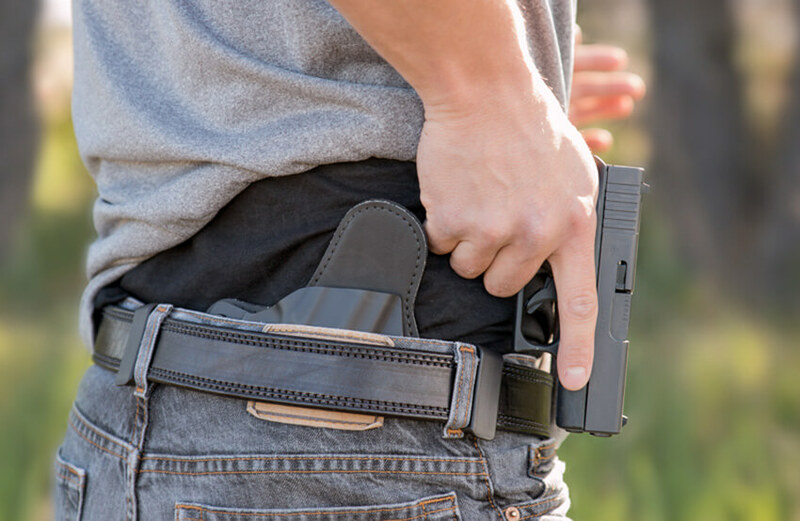 Conceal carriers frequently have to adjust the types of clothes they wear and how they wear them in order to reliably conceal carry a firearm, particularly if that firearm is a full-size handgun. The most common way to conceal carry is at the 4 o’clock with a loose, untucked shirt. With a good holster, gun belt, and the right sized gun, it can be conceal carried with a tucked in shirt, but it is more difficult than an untucked shirt. Like previously mentioned, appendix carry is quite popular these days. With a dedicated “AIWB” holster and a good belt, it is quite surprising what people can carry there. It does require a little trial and error to get right though. Some people will conceal carry a pocket-sized pistol in a pocket holster, you guessed it, in their pocket. This conceal carry draw stroke is quite slow, but it is a way to conceal carry a firearm when the wardrobe won’t allow hip carry. A small gun is not ideal, but it is better than no gun. For women, check out these ways to conceal carry. Like previously mentioned, I strongly do not recommend off body carry, such as in a purse or bag.